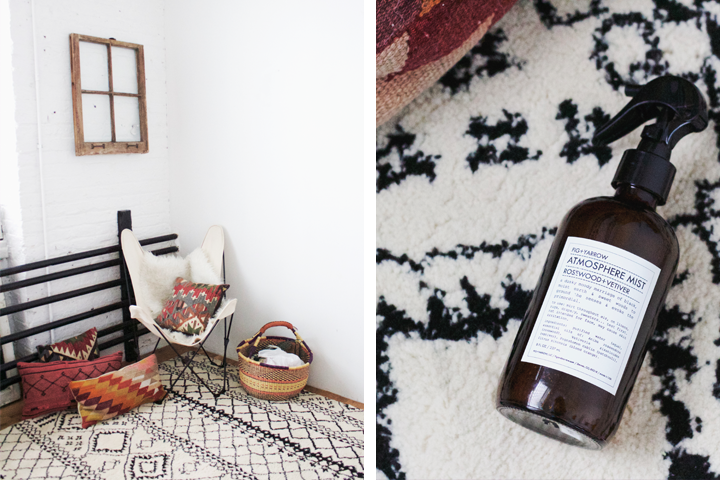 We've recently become completely smitten with Fig+Yarrow. This small batch organic health/beauty line originating in Denver, Colorado is creating amazing products with earth elements like roots, leaves, flowers, minerals, and oils. Our favorite from F+Y is the atmosphere mist. We spray it on EVERYTHING. Pillows, curtains, linens, our couches, beds, rugs, and even just in the air. You name it, we're spraying it! 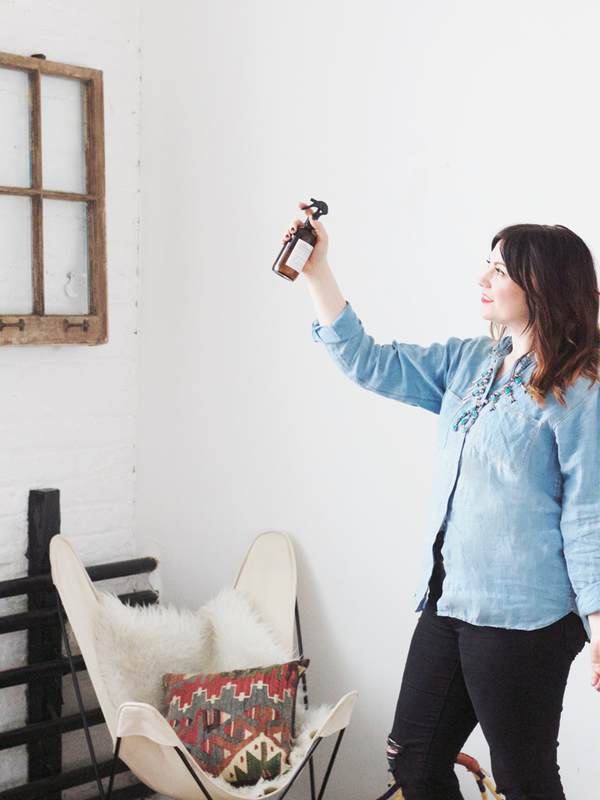 The current scent we're diggin' is Rosewater + Vetiver. It's just so fresh and Spring-y smelling! 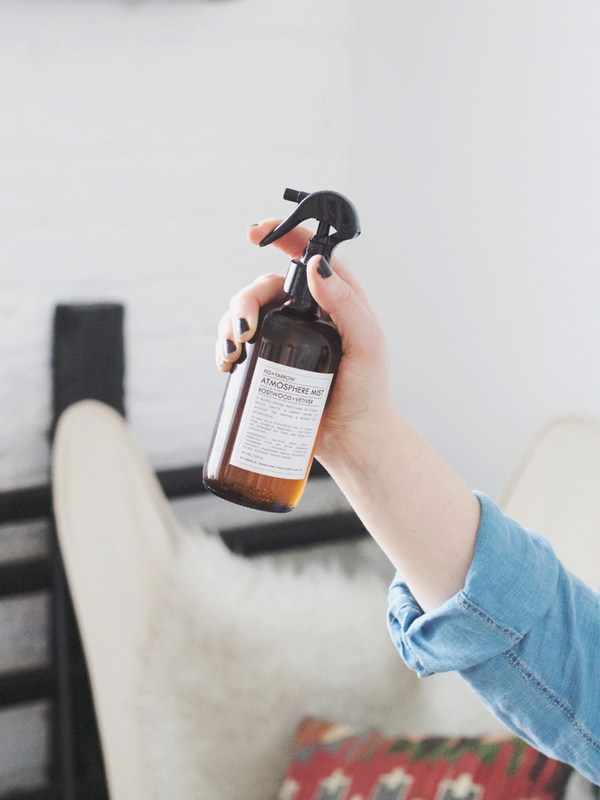 Unfortunately the room spray is currently out of stock online, but visit Fig+Yarrow's Stockists list to see what stores near you carry the line. 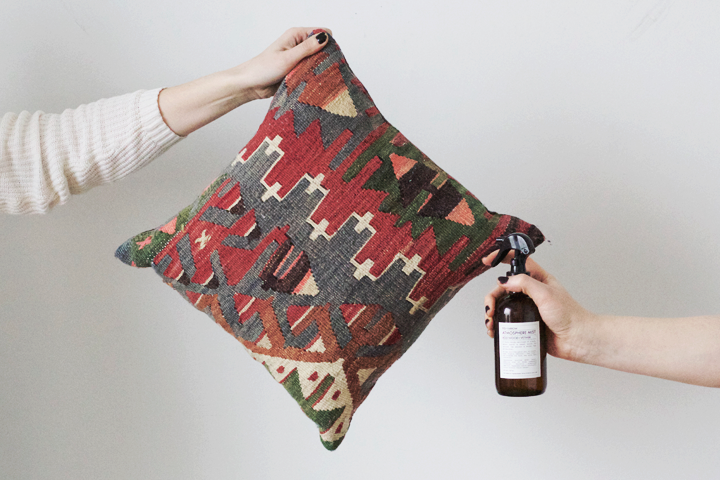 We snagged a few bottles at our favorite local home shop, Gather Home + Lifestyle. What scents are you filling your home with this Spring? *This is not a sponsored post. We just genuinely love this product!